JEREMY I. BOHRER’s 20 plus years of experience as principal and practitioner span the areas of white collar defense and investigations, crisis and enterprise risk management, sophisticated transactions and wind-downs, and C-suite advisory. Jeremy Bohrer resolves complex issues at the nexus of business and law as a trusted advisor to his clients. Drawing on his own unique experience as the Chief Operating Officer and General Counsel of a multi-billion dollar hedge fund, Jeremy brings his firsthand knowledge of crisis, enterprise, and legal risk management to every client he represents. After holding senior roles at financial services institutions and global law firms, Jeremy founded his own independent boutique law firm to create the ideal platform for delivering the creative, strategic advice his clients need. Jeremy represents high-profile executives, hedge and private equity funds, public and private companies, family offices, entrepreneurs, and other investors. He tirelessly defends his clients’ interests with an adaptive combination of behind-the-scenes advocacy, direct negotiation, commercial intuition, and legal quarterbacking. With a legal defense philosophy that goes far beyond traditional thinking, Jeremy represents clients in white collar defense and regulatory investigations. Clients have retained Jeremy in matters dealing with the Securities and Exchange Commission, Financial Services Authority, Manhattan District Attorney’s Office, New York State Attorney General’s Office, United States Attorney’s Office for the Southern District of New York and Department of Justice. Many of these representations were resolved without charges being filed. Jeremy’s extensive network of white-collar, financial services and other industry experts has enabled him to assemble premier, multi-disciplinary teams for trial defense cases. As an attorney and executive who has navigated a spectrum of challenges in the financial services and alternative asset management arenas, Jeremy knows how to handle the call when something has ‘gone wrong.’ Jeremy evaluates and acts decisively to craft a bespoke solution that addresses the critical issues, players, and ecosystems to ensure survival. His approach incorporates a pragmatism and discretion that aims to minimize disruption to the client and preserves reputation. This advisory role applies to issues of existential threat, including white collar defense, cybersecurity, partnership and employment disputes, insurance procurement, and investor scrutiny among other disciplines. Leveraging his own niche experience winding down billion dollar funds in crisis situations, Jeremy understands how to guide his clients through the legal and commercial issues to maximize the business outcome achievable. Jeremy negotiates multi-million dollar deals on behalf of his clients, frequently in some of the most complex situations involving adverse principals, directors, brokers, insurers, and investors. JOEL R. MEYERS is a Partner and Head of the Firm’s White Collar Defense and Government Investigations practice. Prior to entering private practice, Joel had a distinguished career as a prosecutor, first as an Assistant District Attorney and then as an Assistant United States Attorney. During his 20-year career as a state and federal prosecutor, Joel investigated and prosecuted a wide-range of notable criminal matters, including money laundering, tax fraud, bribery, international extradition, embezzlement, wire fraud, and conspiracy. In addition to his extensive criminal practice, Joel has considerable experience in civil litigation. Joel’s specialty in civil forfeiture has led him to matters involving many foreign governments in the repatriation of major thefts of artwork and other items of cultural patrimony. Joel has developed relationships and worked closely with law enforcement agencies throughout the world. Domestically, Joel maintained a Top-Secret security clearance and regularly led investigations with all of the nation’s major law enforcement agencies, including the Drug Enforcement Administration, the Federal Bureau of Investigation, the Internal Revenue Service (IRS) and the Department of Homeland Security. Internationally, Joel has liaised with law enforcement and diplomatic agencies throughout Europe, the Middle East, Asia, and the Americas. Joel began his career in New York City, first with the Queens County District Attorney where he focused on long-term wiretap investigations and the international interdiction of narcotics and other dangerous drugs at both of New York City’s major airports. In 2001, he joined the Office of then-District Attorney of New York County Robert M. Morgenthau where he served until 2008. 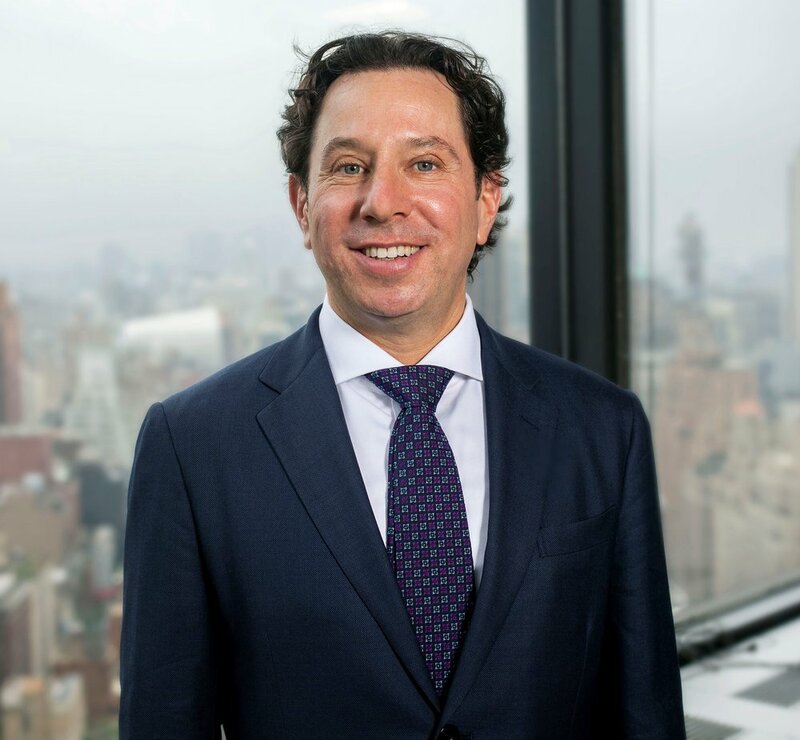 Joel began his work at DANY in the Money Laundering and Tax Crimes Section where he worked with both the IRS and the New York State Department of Taxation and Finance to prosecute significant tax fraud and other white collar offenses. He went on to join the Construction Industry Strike Force where he prosecuted significant fraud cases related to some of Manhattan’s most iconic buildings, including companies, individuals and public officials involved in a bribery scheme related to the cleanup of Ground Zero. During Joel’s decade-long tenure as an Assistant United States Attorney for the District of New Mexico, he fulfilled a number of different roles with diverse responsibilities across the Department of Justice. Most recently, he served as the Supervisor of the Organized Crime and Gangs Section where he led a team of prosecutors on the front line of the war on drugs along the Southwest Border. Joel also took on the position of Lead Task Force Attorney for the Organized Crimes Drug Enforcement Task Forces and was an active member of the Suspicious Activity Report (SAR) Review Committee. As the District of New Mexico’s International Coordinator, Joel handled a wide array of international matters involving extradition and mutual legal assistance treaties. Joel possesses extensive criminal and civil trial and litigation experience in both federal and state courts. He has completed dozens of felony jury trials from white collar fraud to homicide and organized crime. He has also guided the prosecution of numerous medical providers, including physicians, nurse practitioners, physician assistants and pharmacists. Joel is well versed on many of the emerging issues involving synthetic controlled substances and their analogues. In addition, Joel has routinely briefed and argued at the appellate court level, including cases before the New York State Appellate Division - Second Department and the United States Court of Appeals for the Tenth Circuit. Joel frequently lectured at the National Advocacy Center in areas such as: trial advocacy, obtaining evidence from foreign countries, and faculty development. He is also a recognized subject matter expert in electronic surveillance. Additionally, he regularly presents to professional medical associations and civic organizations on the recent devastating opioid crisis. STEVEN T. CHENG is Counsel and a senior member of the Firm’s Deal & Transactional Practice. Steve represents clients in a variety of complex commercial deals, strategic negotiations, and business matters. With a background in corporate and securities law, Steve advises funds, companies, partnerships, and executives in myriad matters involving their day-to-day operations, business transactions, and crisis situations throughout all stages of development. Steve guides clients in forming strategic ventures, implementing policies and procedures, and negotiating a wide array of commercial contracts. In addition, he regularly counsels clients on insurance procurement, employment matters, real estate structuring and transactions. Steve helps businesses navigate through legal issues raised by today’s constantly evolving business environment, including investor communications, cybersecurity and data privacy, regulatory concerns, and other enterprise risk management matters. Prior to working at Bohrer PLLC, Steve worked as an Associate in the Corporate Department at Meyer, Suozzi, English & Klein, P.C. and as an Associate in the Corporate Department at Brown Rudnick LLP. His earlier experience included extensive work on mergers and acquisitions, corporate governance, and public and private offerings of securities. JONATHAN JASON (“JJ”) is an Associate who concentrates his practice on white collar defense, government investigations, and high-stakes commercial disputes. He counsels businesses and individuals in investigations led by the Department of Justice and the Securities and Exchange Commission, including a client that concluded a high profile regulatory enforcement settlement that avoided civil litigation. He has handled matters involving various allegations of fraud and the Foreign Corrupt Practices Act. JJ also advises clients in complex commercial negotiations. Most recently, he was a key player in the wind-down of a multi-billion dollar hedge fund, navigating disputes amongst principals, directors, and investors. He also has focused on insolvency matters such as bankruptcy and corporate restructuring, liquidations, and related litigation. Prior to working at Bohrer PLLC, JJ worked as an Associate at Shipkevich PLLC. Previously, JJ held a clerkship in the United States Bankruptcy Court for the Eastern District of New York under Chief Judge Carla E. Craig.